The Yellowknife Historical Society won big thanks to 100 "damn-giving" men of Yellowknife on Wednesday night, November 28, 2018. The "100 Men Who Give A Damn" group meets for an hour and jointly select a local charity or not-for-profit organization. Every man writes a $100 cheque to the selected organization and watch how the group’s commitment turns into a $10,000+ donation. Thomas Hall graciously nominated our Society, one of six possible winners of the night. Luck of the draw resulted in the Society's name being pulled, along with two other finalists. Society vice president Ryan Silke was invited to speak on behalf of the museum project, and explain what the $10,000 would be used for. The 100 men then cast a vote in favour of whichever three nominees they were in support of. And the Yellowknife Historical Society won! Thank you to all the men who supported our nomination! The cash prize will be put towards lumber for interior construction of the museum building this summer. To learn more about "100 Men Who Give A Damn", visit their website! Last summer, the exterior shell of the recreation hall building was completed with the installation of new windows, doors, and siding. Power was connected and a new solar panel was placed on the roof. This summer, our plan is to complete some hazardous material abatement, frame up interior wall partitions where necessary, and engage an electrical contractor to complete the wiring of the building. Funding is being secured from the Government of the NWT Industry Tourism and Investment, and the Canadian Northern Economic Development Agency. Volunteer labour will be engaged as much as possible to build the interior walls. Expect to hear from the Society in May and June to find out how you can get involved in a little bit of sweat equity at the museum site! The Giant Mine Remediation Project is scheduled to proceed within the next couple of years, and timelines and proposals are now being shared with the concerned public. The Society’s board of directors believes that the project will have a significant impact on the Society’s future land use of the area. Contaminated soil remediation is expected to take place at various areas around the Giant Mine Townsite Lease, including the City Boat Launch Parking Lot. Although we have been assured by the Project team that activities on our lease will not be impacted by surrounding cleanup activities, other components of the Society’s investments are at risk, including the outdoor display and other assets. In addition to our own land use, the Society is generally concerned about the aesthetic impacts of remediation proposals on the landscape in the Giant Mine Townsite Lease, an area of high recreational/tourism value that must be preserved for future generations. 3) The Giant Mine Townsite Lease and all areas visible from the Lease be remediated to an aesthetic degree, and that no blasting of outcrop ridges and hills be conducted at the Giant Mine Townsite Lease, along the West Bay Fault ridge near the open pits, nor lands along the Ingraham Trail or Vee Lake Road. 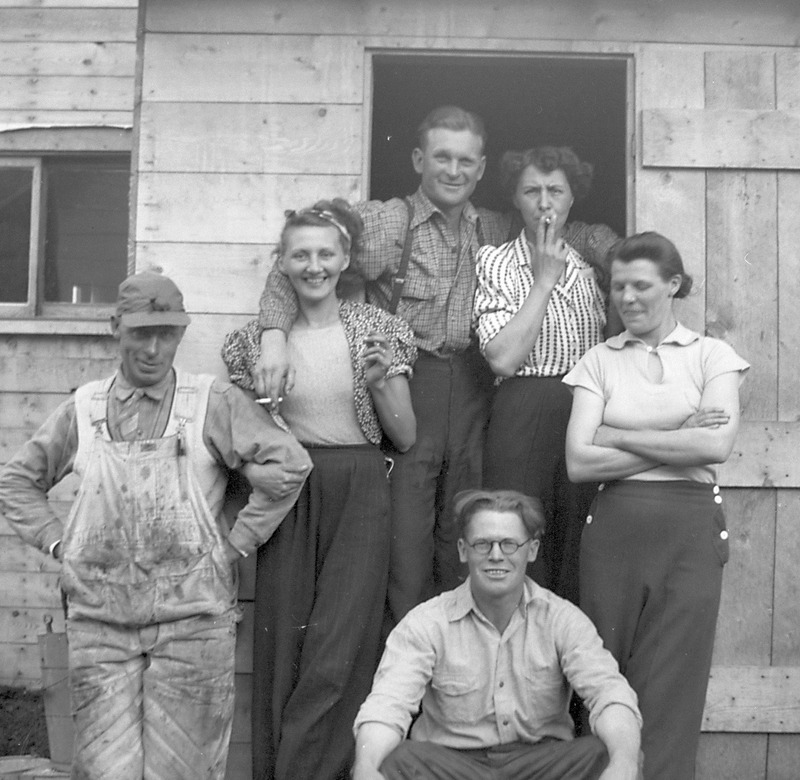 The Society is hosting a fundraising "Heritage Photo Booth" at the Long John Jamboree winter festival, being held on March 29 to March 31, 2019 on Yellowknife Bay. All proceeds from the sale of photos will go towards the Society. So bring down your family and friends for a chance to dress up and pose in front of a historic Yellowknife backdrop - the 'Old Stope' hotel tavern, an Old Town landmark from the early gold-rush days of the community! Cost is $5 per person, or $20 for a group. Thanks to Terra X Minerals and Aurora Geosciences for their generous sponsorship towards the Heritage Photo Booth! Mark this important date in your calendars: June 15. This will be the date of the 2019 Beer Barge party in Old Town, the Society’s main fundraising event. Tickets will be on sale starting in May 2019, available either on the Society website or by contacting the Coordinator. We hope to see you there! The Yellowknife Historical Society envisions the museum site at Giant Mine as a place that celebrates all aspects of Yellowknife's interesting history, from its Indigenous stories, geological setting, prospecting, the industrial activities of the gold mines, and the pioneer entrepreneurs that began the town in the 1930s. Inside we will be displaying mining and Yellowknife history and that should broaden its appeal and increase the number of visitors.